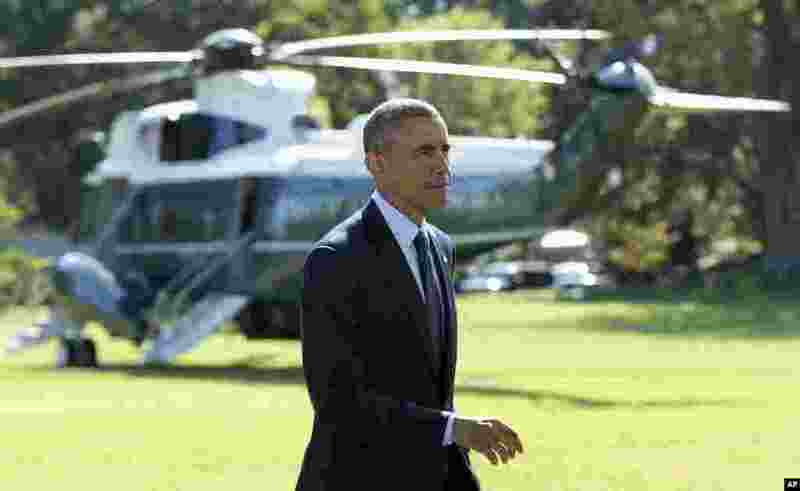 1 President Barack Obama walks from the podium to the Oval Office of the White House in Washington, Sept. 23, 2014, after speaking about the participation of five Arab nations in airstrikes against militants in Syria. 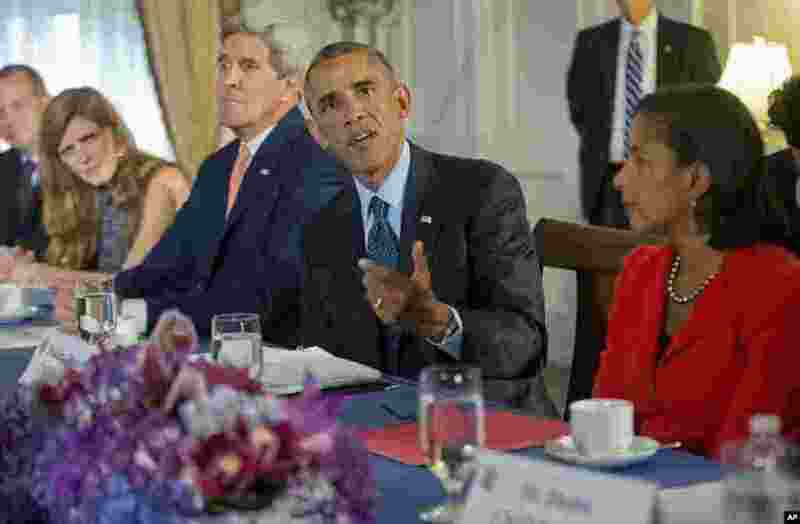 2 President Barack Obama, flanked by Secretary of State John Kerry and National Security Adviser Susan Rice, speaks during his meeting with the representatives of Bahrain, Qatar, Saudi Arabia, Jordan, United Arab Emirates and Iraq in New York, Tuesday, Sept. 23, 2014. 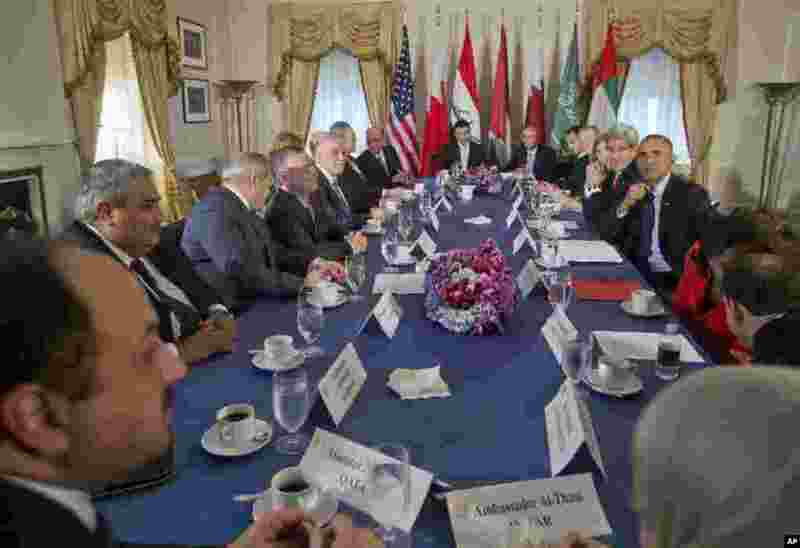 4 President Barack Obama, Secretary of State John Kerry, and other officials, meet with the representatives of the five Arab nations who partipated in strikes against the Islamic State targets in Syria, in New York, Tuesday, Sept. 23, 2014.